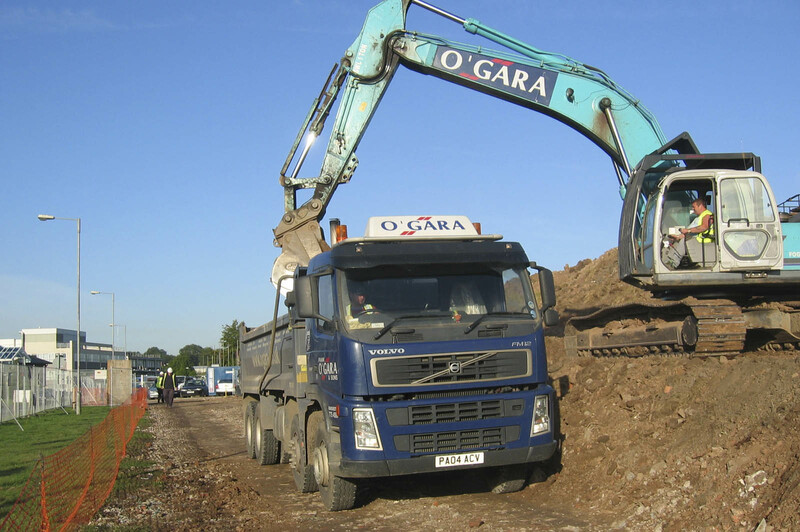 Bulk Excavation & Site Clearance - Frank O'Gara & Sons Ltd.
Frank O’Gara & Sons Ltd.
We are primarily involved in the removal of material from, or supply of materials to, demolition, remediation and construction sites throughout Manchester, North West region and further afield across the UK, see our Areas we Cover page for some examples of where we have worked across the United Kingdom. 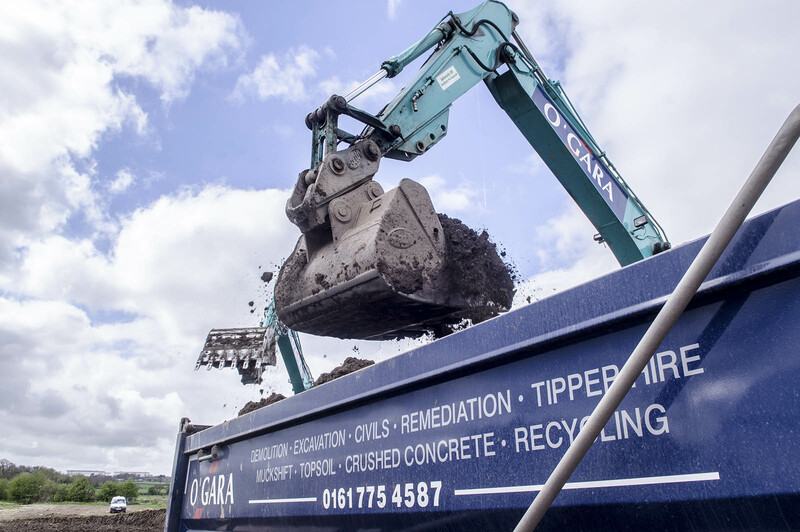 The Excavation department operates hand-in-hand with the Company’s in-house recycling facility to reduce the need for landfill and quarrying of new materials. 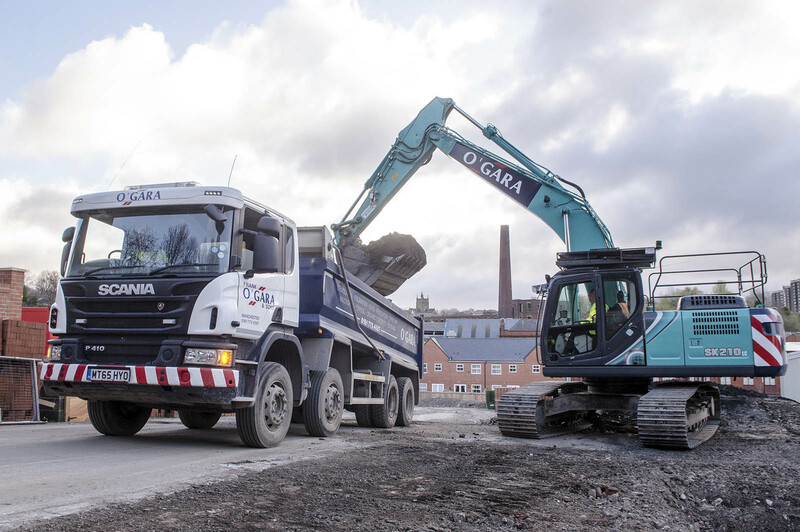 From its site in Irlam, Manchester, O'Gara owns and operates a modern fleet of 8 wheeled tipper wagons and an impressive range of plant and attachments, for hire or contract work, to suit your requirements. All vehicles are in radio contact with our Irlam Control Centre and are fully supported by modern garage facilities which are fully equipped and manned by skilled fitters and engineers who regularly service and maintain the fleet. 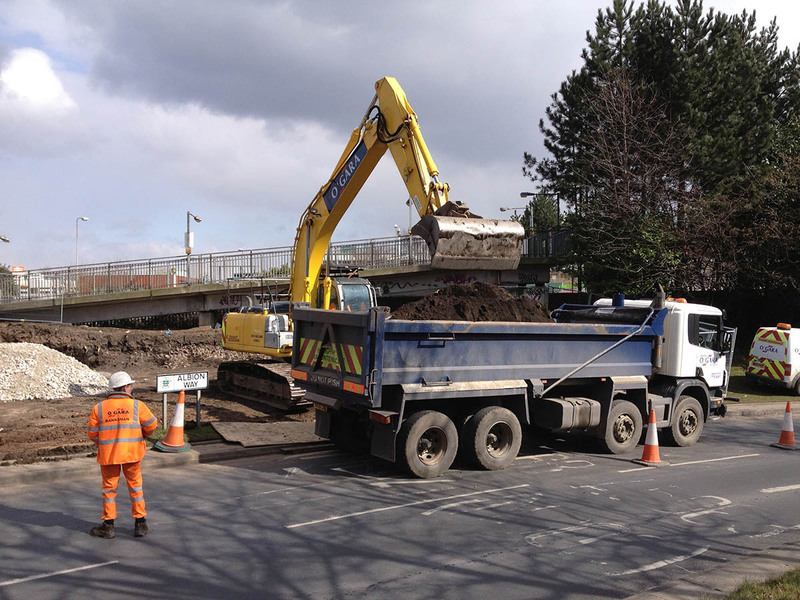 Bulk excavation can be supplied as a stand-alone service, or in association with our other core services - Demolition, Excavation and Civil Engineering & Enabling Works. 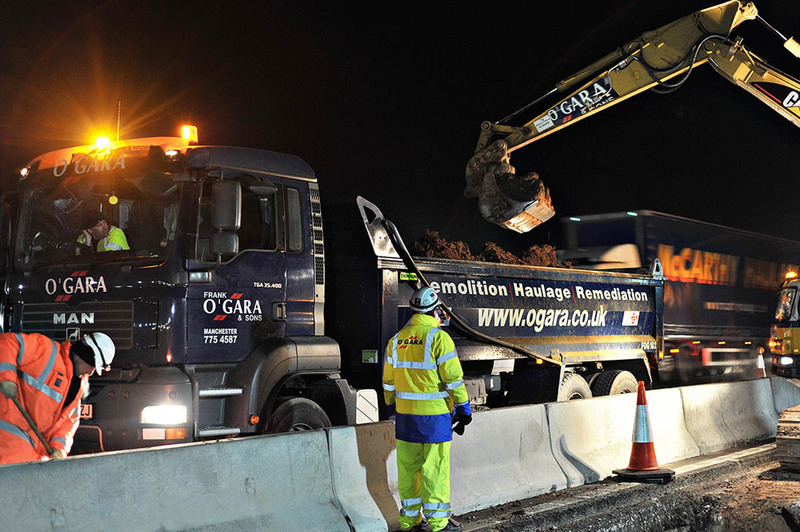 We are able to offer tracked excavators and tipper lorries on a 24/7 basis and so meet the demands of night working on key areas of the Highway Network. This is backed up by being licenced to open our Waste Transfer Station for the same hours and so offer imported fill to projects around the clock, whilst also being able to dispose of site arisings whether inert, non-hazardous or hazardous. 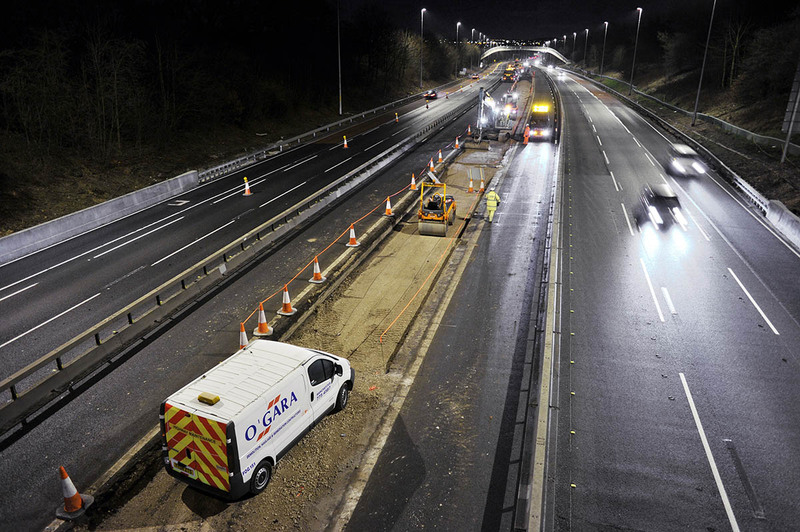 Our knowledge of working within restricted traffic management environments has enabled us to work effectively on the M6, M56 and M62 undertaking, but not limited to, central reservation and hard shoulder upgrades, removal of safety crash barrier and the installation of new drainage and concrete aprons. 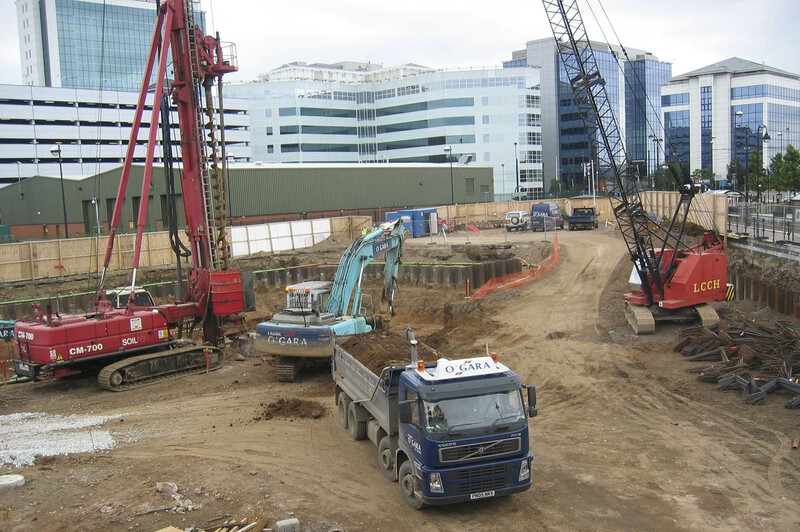 We have also been involved with the construction of accessways and car parks requiring sustainable underground drainage (SUDS), swales and balancing ponds to deal with surface water drainage. 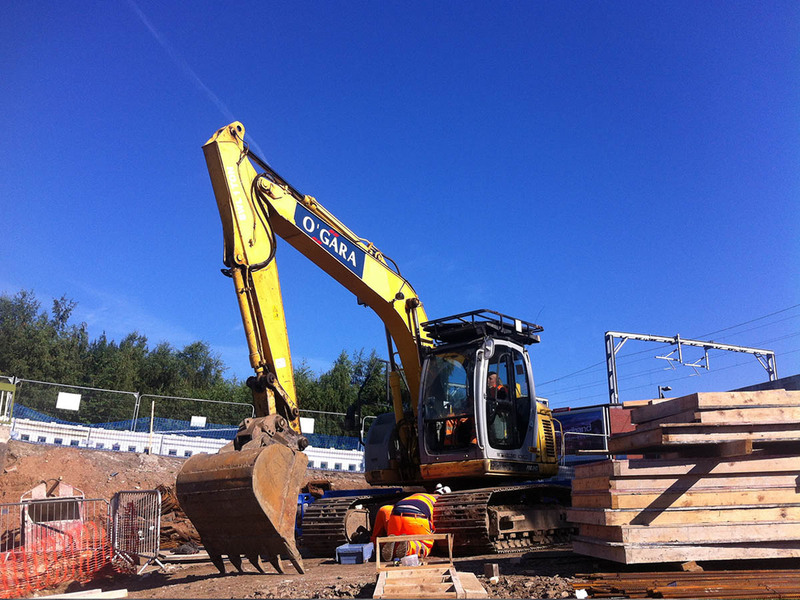 We have experience in enabling works to set up a project’s compound, form accessways and transport routes for specialist rail plant and machinery. We have experience in pile mat construction, together with ‘cut and fill’ and ground re-profiling for Network Rail’s ongoing new asset delivery. Our demolition of old and outdated assets together with the inclusion of new construction enabling works offers a fast track approach to having the new build undertaken and reduces contractor interfaces. 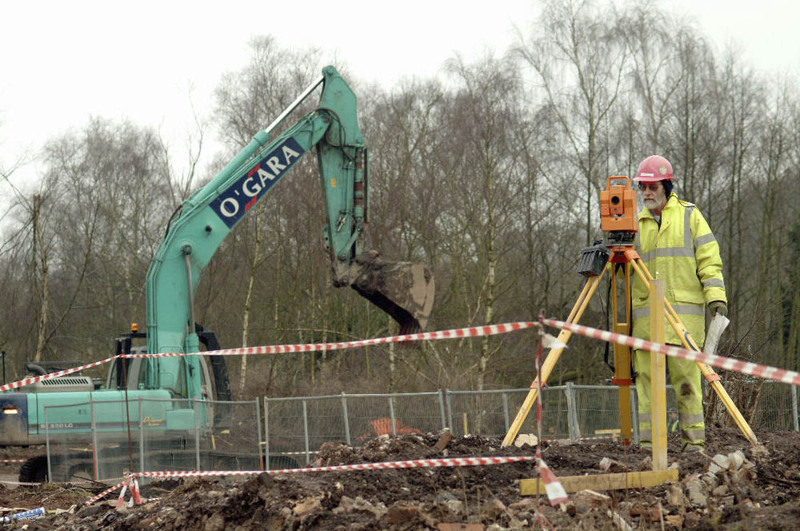 Whether the works are being undertaken within a possession, a blockade or a night-time activity, we have the infrastructure to meet the client requirements and demands. 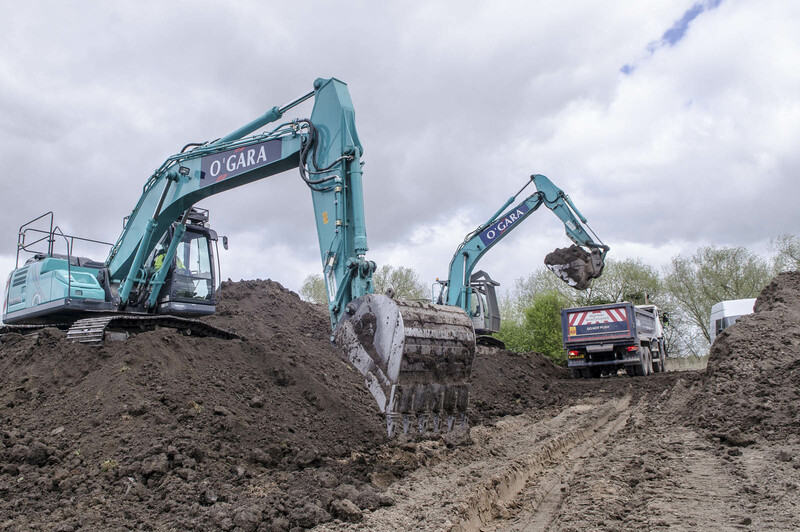 Our flexible and versatile approach to work with the Main Contractor and to best suit his requirements has resulted in our airside works to include demolition and site clearance, together with concrete apron removal and crushing. Our 24/7 licenced Waste Transfer Station has enabled site arisings to be removed at night to best suit the Airport’s transport plan and to optimise work area output. Responsive emergency hotline available 24/7 on 0161 775 4587. For over 50 years Frank O'Gara & Sons have been renowned for services, professionalism and reliability second to none. Frank O'Gara & Sons Ltd. Copyright © 2018 by Frank O'Gara & Sons Limited.